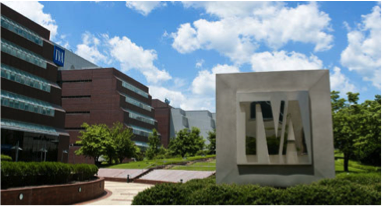 The Tennessee Valley Authority (TVA) recently dodged consideration by the Obama Administration to shed the federal government’s role in its ownership. Because of worries that TVA’s bond debt could exceed its $30 billion statutory cap and thus impact the federal debt, the Office of Management and Budget (OMB) had suggested severing federal ties with the agency to “help mitigate risk to the taxpayers,” and “put the Nation a sustainable fiscal path.” However, under new management, TVA’s financial prognosis has improved, and pressures to privatize the agency have receded for the time being. Nevertheless, TVA faces a new challenge associated with rising public demands to reduce carbon emissions, especially in response to the Environmental Protection Agency’s (EPA) Clean Power Plan (CPP). Although TVA is the nation’s fifth largest emitter of carbon emissions, in recent years it has made strides in reducing its reliance on fossil fuels. The question remains, however, whether TVA will be able to maintain its financial solvency as it restructures and adapts to the mandates of the CPP, while continuing to provide clean, affordable, reliable and safe electricity and carry out its many non-power functions. A corporate agency of the United States, TVA was one of the most successful and ambitious of President Franklin Roosevelt’s New Deal programs. It exemplifies the important role public power has played in the evolution of the nation’s electric power grid. 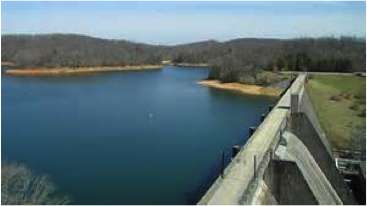 Congress established TVA in 1933 to bring electricity to the impoverished Tennessee Valley region, provide flood control and improve navigability of the Tennessee River, and promote agricultural and industrial development. Today, TVA operates one of the nation’s largest electric utility systems—in 2013 it had 37 GW of electric power capacity and 16,000 miles of transmission lines. TVA’s electricity is distributed by 105 municipal utilities and 50 customer-owned cooperatives to 9 million residents in a seven-state region, stretching from Virginia to Tennessee and Alabama. In addition, TVA’s electric power system is integral to maintaining critical non-power functions including economic development, river and land management and environmental stewardship. Despite TVA’s excellent track record providing affordable electric power and invaluable non-power services throughout the Tennessee Valley for over 80 years, the Obama Administration explored options to put TVA on the auction-block. Over the past three years, its budget proposals have called for reducing or eliminating the government’s role in programs such as the TVA, “which have achieved their original objectives or no longer require Federal participation.” Republicans and conservatives opposed the TVA’s very existence from its inception, calling it an illegitimate intrusion into the marketplace. Recent federal government proposals have echoed their calls for privatization, though not for the same reasons. In contrast, most major TVA stakeholders across the political spectrum, including local power companies (municipals and cooperatives), labor unions, and Congress members in the Tennessee Valley, have strongly pushed back against the federal divestiture proposals. Prompted by labor unions representing TVA employees concerned about the administration’s initiative, High Road Strategies was commissioned by the Economic Policy Institute (EPI), a Washington, DC-based think-tank, to evaluate the impacts of a potential divestiture of TVA. Our findings were presented in an EPI briefing paper, If It Ain’t Broke, Don’t Fix It, Potential Impacts of Privatizing the Tennessee Valley Authority, released June 5, 2015. TVA must continue to reduce its high bond debt—which has shrunk under its new management over the past few years. At the same time, like most other utilities, it also must continue to reduce its dependency on fossil fuels for electricity generation, especially to meet the CPP’s carbon emission reduction requirements over the coming decades. This likely will require increased investments in new lower carbon (natural gas) and non-carbon (nuclear, hydroelectric, and renewable) generation capacity, and adoption of more aggressive demand management and energy efficiency strategies, necessarily working closely with the municipal and cooperative local power companies that distribute its electricity throughout the region. TVA therefore must be able to make the transition to a substantially lower carbon-based mix of electric power resources, without reversing the progress it has made in cutting its bond debt, and without driving up its electricity rates or slowing economic development. In reaction to EPA’s CPP, TVA officials have touted the reductions the agency has already achieved for over almost a decade, by changing its generation mix and focusing on energy efficiency and demand-side management. For example, TVA’s carbon emissions have been cut by 32 percent between 2005 and 2014, which already meets the CPP emissions reduction objectives. TVA has agreed to retire 18 of its 59 coal-fired units by the end of 2017, has added new natural gas units, and is bringing another nuclear unit online at its Watts Bar site. TVA officials project a 40 percent reduction in CO2 emissions by 2020 from 2005 levels, which is equal to half the TVA’s emissions when they were at their peak in 1995. Despite this progress, TVA’s carbon footprint remains large—carbon fuels account for more than 60 percent of its generation capacity (one-third coal; over one-quarter natural gas), while non-hydro renewable sources (wind, solar, biomass) provide only a little more than 4 percent of TVA’s electricity. However, the TVA’s Integrated Resource Plan (IRP) for 2015 suggests that the agency may be poised to increase the share of low- and non-carbon electricity generation over the next few decades, and make further cuts in its coal-fired capacity, especially if there’s a continued federal push to de-carbonize the economy. The IRP compares the potential performance of five distinct planning strategies based on different mixes of resource options (generating technologies, and/or energy efficiency), for five scenarios representing plausible future conditions based on different demand, price, economic and other assumptions (including a de-carbonized future). Based on this analysis, the IRP recommends further retirements of coal units, uprates of nuclear units, a greater emphasis on demand response and energy efficiency, a sizeable increase in solar and wind power, and substitution of natural gas for coal generation, as well as new natural gas capacity. 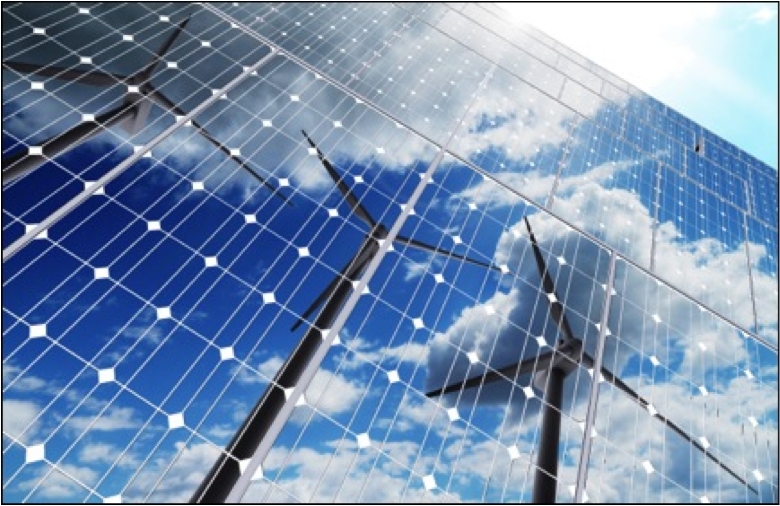 Although we welcome TVA’s proactive embracing of the clean energy trajectory, we recognize that there could be both economic costs and opportunities for communities, industries, businesses and employees residing in the TVA service area. For example, what would the impacts be on jobs—especially of workers employed by the TVA—and businesses directly and indirectly affected by the closure of coal-fired units? At the same time, what new jobs and business opportunities would be created by new investments in renewables, natural gas and energy efficiency in the TVA region? The IRP does not examine these questions, but we believe such an analysis is warranted, to inform policies and strategies that mitigate the risks and maximize the opportunities for taking the clean energy path. Tennessee Valley Authority. 2014. Form 8-K. Current Report Pursuant to Section 13, 15(d) or 37 of the Securities Exchange Act of 1934. Washington, D.C.: U.S. Securities and Exchange Commission, June 4. Tennessee Valley Authority. 2015. Integrated Resource Plan 2015 Final Report. (www.tva.com/irp). Office of Management and Budget. 2015. Fiscal Year 2016 Budget of the U.S. Government. Yudken, Joel. 2015. If It Ain’t Broken, Don’t Fix It! Potential Impacts of Privatizing the Tennessee Valley Authority. Briefing Paper #402. Washington, D.C.: Economic Policy Institute, June 4. Joel S. Yudken, Ph.D. is Principal and Founder of High Road Strategies, LLC, a policy research, analysis and design consultancy in Arlington, VA, specializing in evaluating and advancing policies for a sustainable economy, environment and workforce. Please check out our new quarterly newsletter Taking the High Road. If you are interested in receiving future issues you can subscribe to it on this site. Note: A version of this blog article has also been posted on LinkedIn.